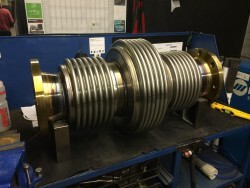 Arcflex have some of the very best facilities and a full testing department with the latest equipment to test all types and sizes of metal hose. We have a BSI 9001:2000 accreditation that can provide pressure certifications for all work. 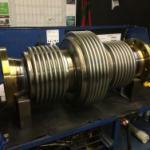 Arcflex can also provide life cycle testing as well as a range of product verification testing. You can be assured of quality with Arcflex and our testing leaves no stone unturned. We will ensure your metal hose requirements are fully met and running at peak performance. Our non-destructive Testing is a fantastic solution for businesses as it allows us to test components without permanently altering the article being inspected. This can save you both time and money spent on product evaluation, troubleshooting and evaluating your products. Our Die Pen testing will also be able to detect any breaking defects in a metal hose which is a lower cost form of testing but still produces great result. Arcflex have a huge amount of experience and expertise at our disposal to test your equipment to the very highest of standards. We will find each and every flaw and then advise you on the best course of action to take. Arcflex stock an extensive range metal hose replacements and can also perform in-house repairs, maintenance and upgrades. We always aim to perform our services swiftly to minimise the disruption to your business and take great pride in the quality of our customer service. If you have any further questions about our metal hose testing/NDT services then please do not hesitate to contact us. We can offer technical support and assistance as well as being able to give you a quote.